Make Easter EGG-stra special this year! 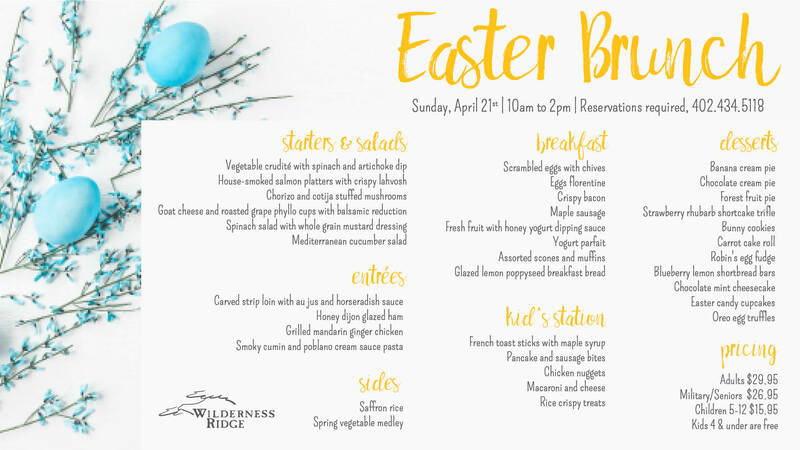 Gather those near and dear, and hop on over to Wilderness Ridge for Easter brunch! Shades the Clown will be back, entertaining with balloon creations. Click the 'Photos' tab to view the menu!